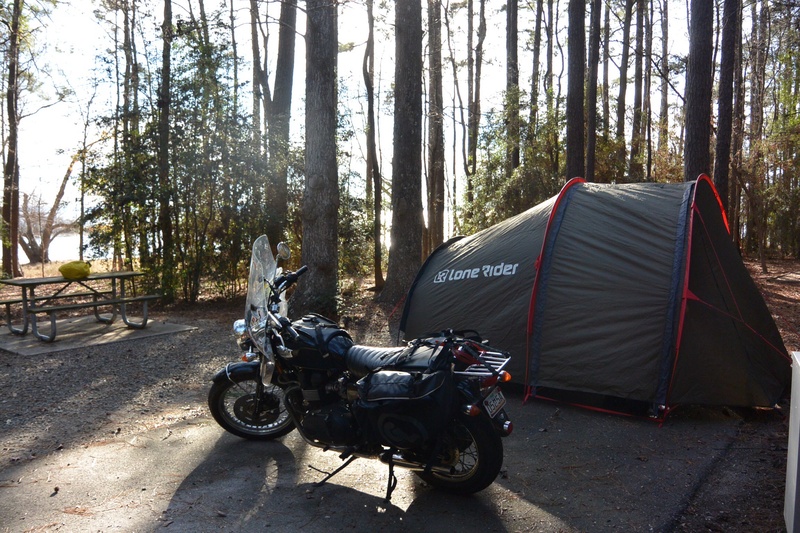 The Tent – When dreaming of the perfect tent for this adventure I came across the Lone Rider tent. Not only is this invention made by riders for riders, it has an attached garage for my bike- Amazing! I was honored when Lone Rider decided to sponsor a tent for me for this adventure! I look forward to my home on the road! I knew the bag I had was not sufficient as an all-weather sleeper through all the climates I would be crossing. I kept my eyes on the REI garage sales. If you don’t know what these are you need to know them- REI is my favorite outdoor store! I got the perfect bag, a $390.00 value that I got for $90 just because it was used once and returned. No damage, in perfect shape and ready for adventure. I also use a sleeping bag sheet for extra warmth but also for ease of cleaning, just throwing this in the wash every now and then instead of the entire bag . I started the trip with a Thermarest backpackers cot. I had previously used a Thermarest inflatable mat for about 5 years and it is still in great shape. On my test trip to the Overland Expo I really felt the need to upgrade, I have never loved having to re-inflate the mat every time and with camping for a year I decided to go with a cot that I just unroll and build! I use the Jet Boil and coil pan for my kitchen set up. I was lucky and grew up with a mother who loved to cook and is an amazing cook. We got together and did mock-up kitchen-ing and preparing meals that would be awesome for a vegetarian on a yearlong camping trip. I enjoy cooking and eating and had no desire to eat out for every meal for a year. In keeping it small for the trip a lot of my camping and kitchen items are those that backpackers use, these are perfect for motorcycling as they are made to be compact and light. I often tend to cross-specialties for much of my traveling and needs. With a little research and testing one can find the best gear and it does not all have to come from a motorcycle – traveler specific store. Get creative, have fun, but most importantly just get out there, the world is waiting!